• Carbohydrate content: 100 % Vitargo! 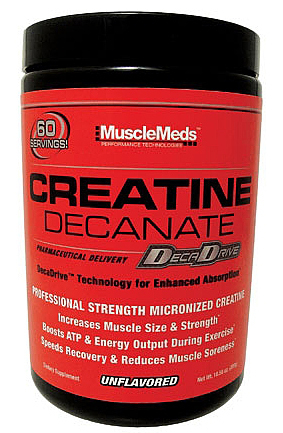 • Optimized formula for maximal muscle gain and recovery! 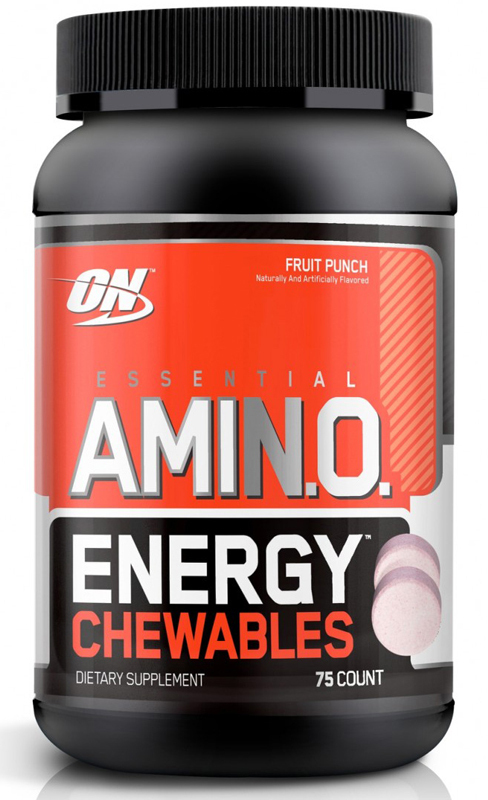 – optimized formula for maximal muscle gain and recovery! The combination of fi rst class proteins and Vitargo® is a brilliant mix to secure recovery, prevent infections and stimulate muscle gain for people undertaken hard exercise. 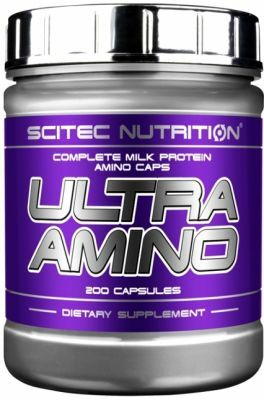 Whey protein, milk protein isolate and glutamine peptide for muscle gain and alpha-lact-albumin to prevent infections. 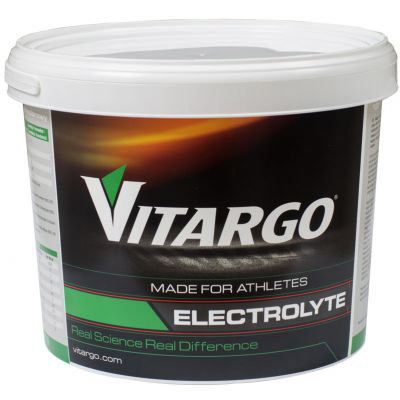 Vitargo® is a patented carbohydrate with unique properties, specially formulated for elite athletes to give an effective loading of easily accessible muscle energy(glycogen) in the body. Vitargo is a considerably larger carbohydrate than ordinary sports drinks carbohydrates, the molecular structure reminds of glycogen(see table 2). The larger carbohydrate, the quicker the drink passes through the stomach and the intestines can absorb the energy into the blood stream. This is called osmolality, the lower osmolality the quicker passage through the stomach(see table 1). 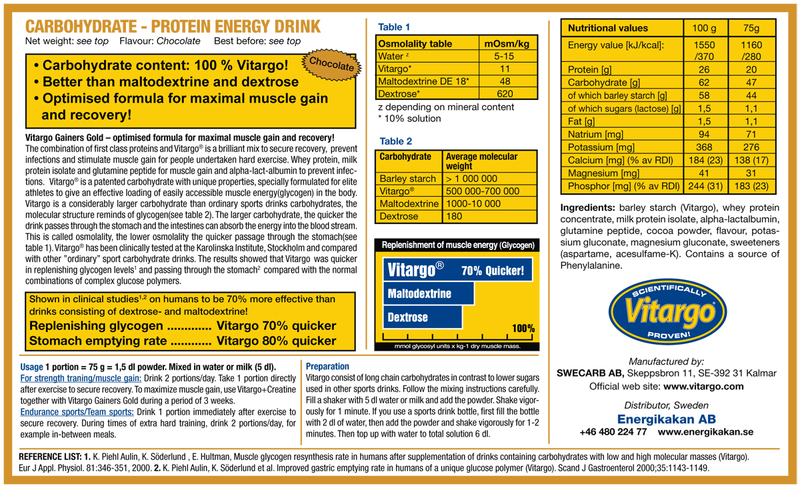 Vitargo has been clinically tested at the Karolinska Institute, Stockholm and compared with other ”ordinary” sport carbohydrate drinks. The results showed that Vitargo was quicker in replenishing glycogen levels1 and passing through the stomach2 compared with the normal combinations of complex glucose polymers. Suggested Use: 1 portion = 75 g = 1,5 dl powder. Mixed in water or milk (5 dl). For strength traning/muscle gain: Drink 2 portions/day. 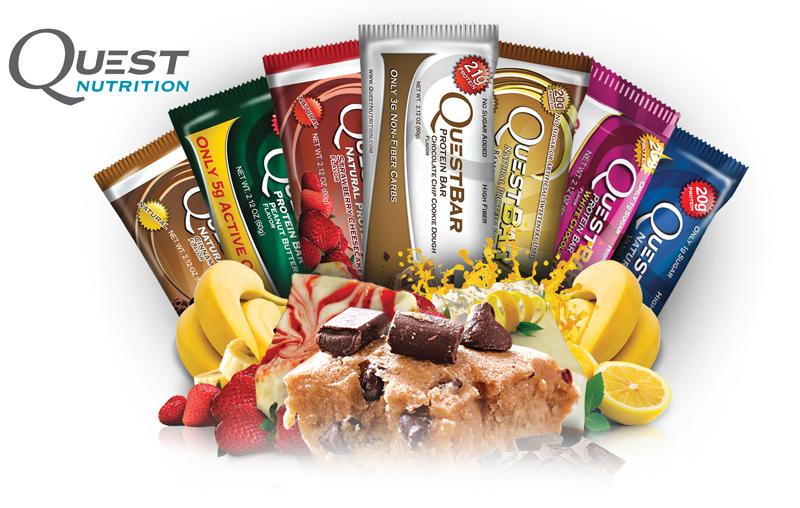 Take 1 portion directly after exercise to secure recovery. To maximize muscle gain, use Vitargo+Creatine together with during a period of 3 weeks. Endurance sports/Team sports: Drink 1 portion immediately after exercise to secure recovery. During times of extra hard training, drink 2 portions/day, for example in-between meals. 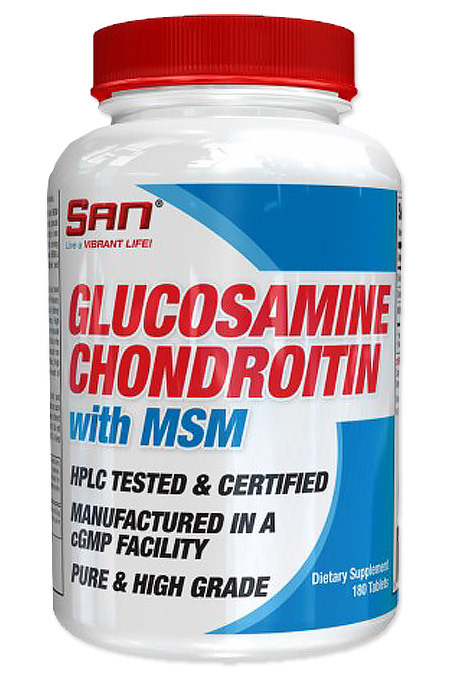 Ingredients: barley starch (Vitargo), whey protein, concentrate, milk protein isolate, alpha-lactalbumin, glutamine peptide, citric acid, potassium gluconate, magnesium gluconate, flavouring, color (beetrootconcentrate), sweeteners(aspartame, acesulfame-K). Contains a source of Phenylalanine. 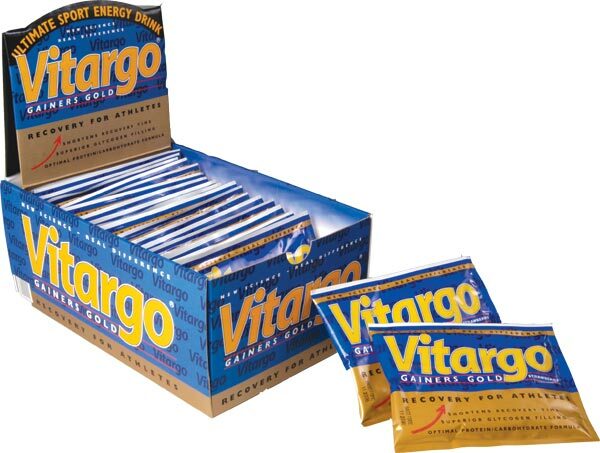 Vitargo consists of long chain carbohydrates in contrast to simple sugars used in other sports drinks. Follow the mixing instructions carefully. 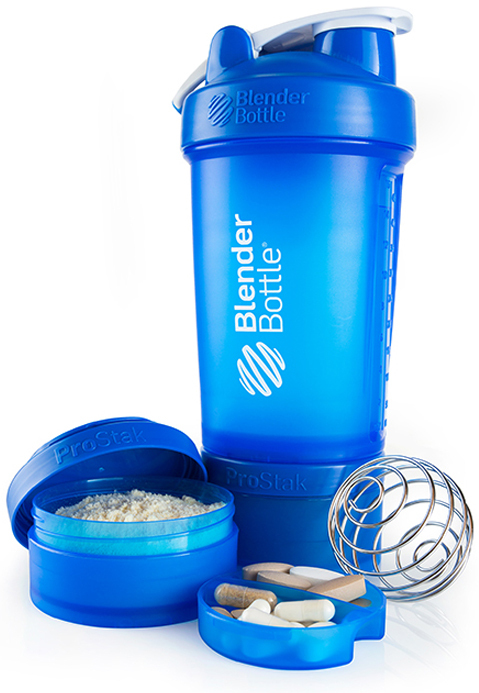 Fill a shaker with 5 dl water or milk and add the powder. Shake vigorously for 1 minute. If you use a sports drink bottle, first fill the bottle with 2 dl of water, then add the powder and shake vigorously for 1-2 minutes. Then top up with water to total solution 6 dl.